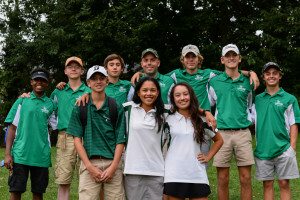 The Warriors played a solid round today in the Arlington County match and were able to place second ahead of Washington Lee and behind Yorktown. The team was led by matching scores of 44 by Peter Jacobsen and Alex Franklin and other counting scores from Marin Pena and Eli Sampson. Our next match is Tuesday against Edison at Army Navy.